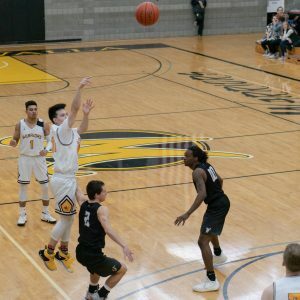 Walla Walla Community College answered every Wenatchee Valley Community College challenge Wednesday in NWAC East Region men’s basketball action at the Dietrich Dome. 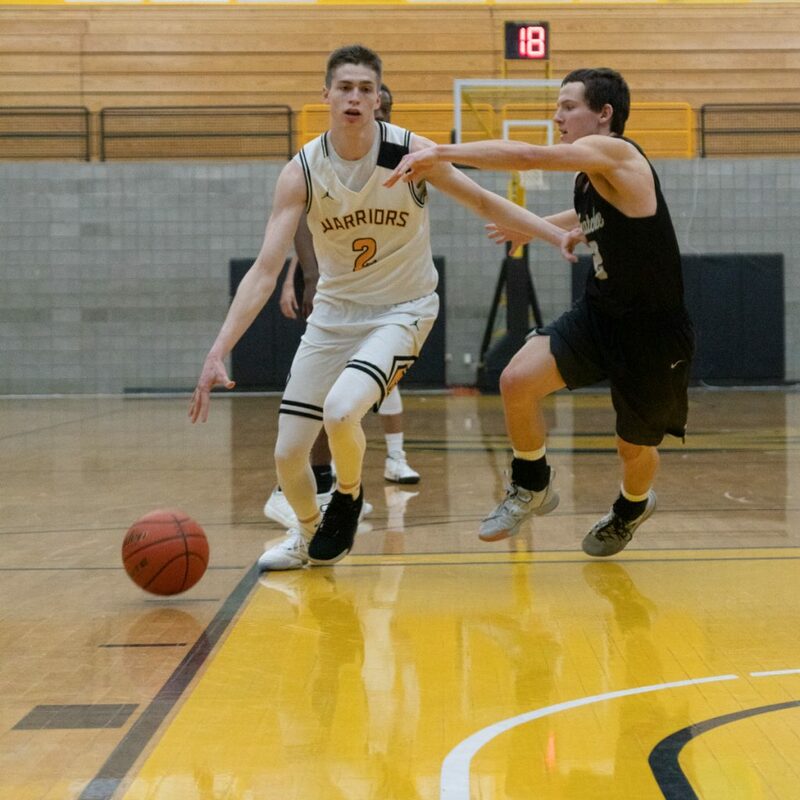 The Warriors sprinted to a 10-0 lead following the opening tip and the Knights, after getting within four at 21-17 early, never got closer than five, 48-43 two minutes into the second half, the rest of the way, as the Warriors with a 96-82 win. “This game was important to both teams,” Warriors coach Jeff Reinland said. “They came here to win. It was a very hard-fought game. They didn’t want to drop to 3-6 and we wanted to stay second in the region and not drop to 6-3. The Warriors’ start was the difference, as Damen Thacker hit a bucket a little over a minute in. Forrest Smith then knocked down a triple. Thacker added a trey, Jake Albright scored in the low post, and the Warriors were up 10-0 less than four minutes in. But the Warriors could not stop Amari McLemore or Malik Parsons. The Knights isolated them for athletic drives to the basket in which they both found ways to finish. McLemore and Parsons each scored 14 first-half points. The Warriors went to Thacker and inside to Albright. Albright finished the half with 14 and Thacker added 13. After a Parsons drive cut the Warrior lead to 23-19, the Warriors got 3-balls from Jake Costello and Thacker, and a deuce from Smith, to run the lead back to 10 at 31-21 with 8:35 left in the half. The Warriors went to break up 48-39. 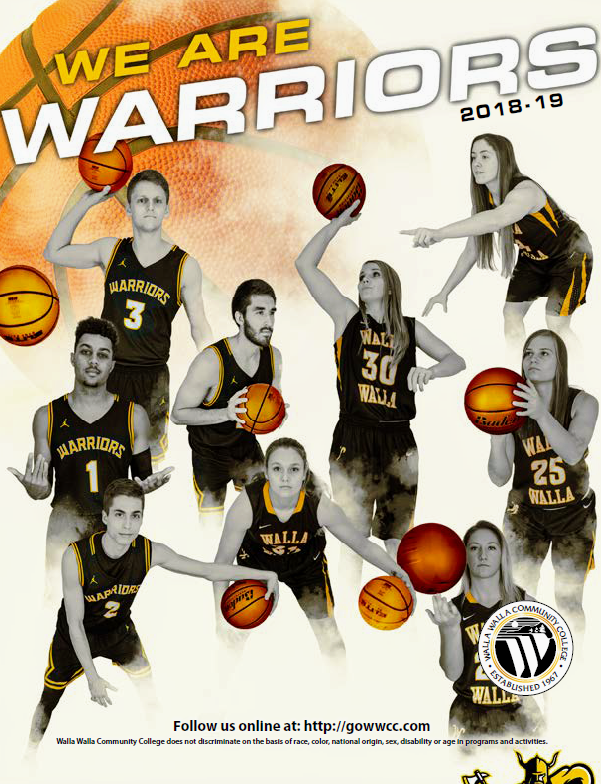 Two Parsons drives and the Knights cut the Walla Walla lead to 48-43 with 18:40 left in the second half. David Howard hit a 3-ball and the Warrior ship stablized with a 51-43 lead. Two Thacker free throws stretched the Warrior lead to 63-48 with 14:40 left. A Howard trey and a Thacker deuce produced the Warrior’s largest lead of the night at 71-55 with 12:24 to play. Wenatchee’s Parsons injured his hip with 7:56 left and did not return. The Knights made one last run, following a Steele Hadlock triple, and the Knights got back within 84-77 with 2:55 to play. A Villarreal bucket jumped the lead back to 86-77 and the Warriors went to the free throw line. Albright hit all four of his attempts, and Villarreal nailed two. 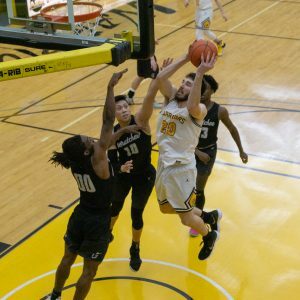 Throw in buckets from Thacker and Jackson Clark, and the Warriors ran the final to 96-82. Parsons, before he left with the injury, scored 32 to lead all scorers. Albright, in a battle all night in the low post, scored 28 to pace the Warriors. Thacker finished with 26 for the Warriors, Smith had 13, and Howard finished with 11. The Warriors shot 49 percent from the field, on 34-of-69, but only 33 percent (10-of-30) from 3-point range. 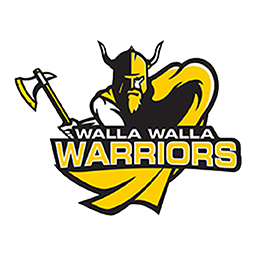 Walla Walla travels to Yakima on Saturday, looking to keep hold of second place in the East.